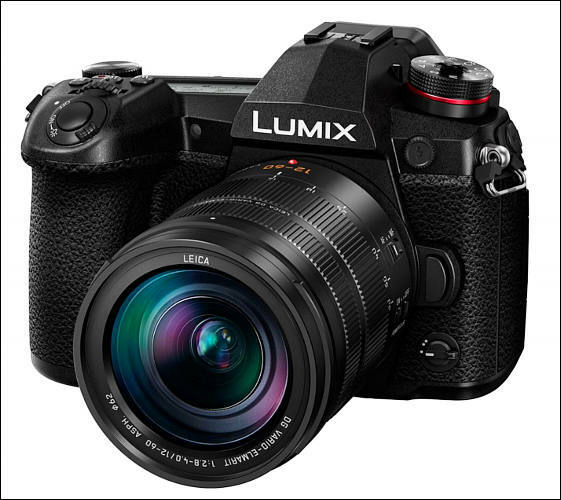 UK pricing - £1499 body only, £1699 with Panasonic 12-60mm lens, or £2019 with LEICA 12-60mm lens. AU pricing - RRP AU $2499 body, AU $3499 for 12-60mm f/2.8-4.0 kit and, 12-35mm f2.8 for AU $3499. And you expect added phase focus points? New Lumix g9 will be a less expensive GH5 for still shooters but retain the 4k 60p. 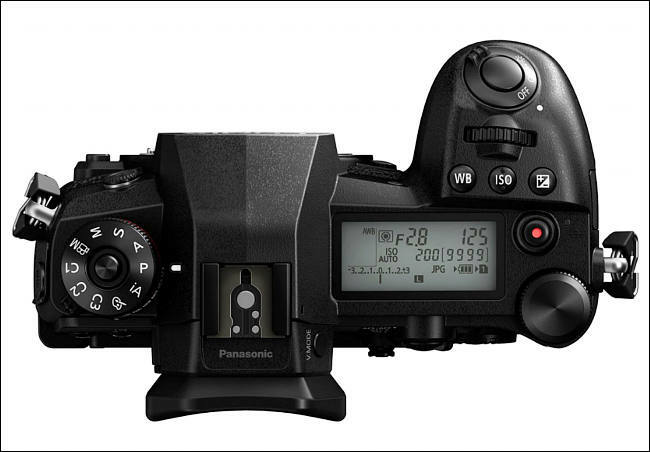 It will also Feature a separate top plate lcd like Canon. It is aimed at photo journalists that need to be light yet capture high quality b-roll in addition to stills. "Feature" a separate top plate lcd lol. It seems like Panasonic is really overcompensating on their features and scrambling for anything because they are still using dfd as oppose to pdaf or dpaf. They made a big mistake committing to dfd years ago and refuse to commit the resources and capital to fix this as they should as Sony and Canon continue to fine tune their focusing systems. Well, Sony is major sensors manufacturer. And it seems like manufacturer behind all latest Panasonic sensors. Canon Dual Pixel AF is patented (but used by Samsung and Sony in smartphone sensors). @Vitaliy_Kiselev They are leaving a feature that is only going to grow in importance on the table. As af gets better and more and more amateurs as well as pros begin to rely on it, Panasonic will come up short. Well, only really good video AF is Dual Pixel AF. @Vitaliy_Kiselev Used dpaf and was impressed. Dfd didn't cut it. Have yet to use latest sony's latest version of pdaf but aren't people impressed by the af on the A9? That's what I've understood. It will have a 20.3 MP sensor without an AA filter. 80 MP mode combined from 8 images. November 6 Panasonic has invited the press to show them the Panasonic G9. But I have been told the announcement to the public will happen on November 8 at 9am London time. Photos added to top post. Totally unimpressed are they trying to convince me if I want a stills camera than I should invest in Canon or Nikon. To me Panasonic was great because they made the best hybrid cameras that do both video and stills well. Splitting features instead of packing it all in there top camera is a bad idea in my opinion. I should add unless the photo stills camera is $1200 or preferably less than maybe. I find it such a mistake it is really making me doubt there future. But I'm a nobody so doubt they care what I think. It is basic marketing rules. Spread products with price brackets and niches. Maximize profit. Well I suspect by the numbering this is the evolution of the G85 which saddens me. I was hoping of not losing any functionality the G85 has and than updating the sensor and get UHD 60fps on the video end and pixel shift for photos. Of course with a modest rise in price no more than $1200 with kit lens. The G85 maybe my last Panasonic unless they add features like pixel shift to the GH5. I just think they are making wrong decisions especially that idiotic lcd. Mirrorless cameras have made top lcds superflous. $2,000 for a M4/3 when you have a A7sII/A7rII FF under 2,500? its crazy. I only pay that price for a GH5 in this format. And ok, look like a great camera and I love Panasonic cameras, but its very high. And look like as an Oly camera. It's clear that pricing the GH5 (and the Olympus EM1mii) as ~$2000 cameras wasn't just about raising the margins on the flagship cameras but about establishing a precedent for premium priced m43 cameras. This has also created a lot of separation between the cameras that have historically been in the $800-1200 range and the flagships - so probably the next generation of mid-tier cameras will see a significant price bump to fill that gap and create more separation from the budget cameras. Well, I thought that was a very bad rendering error in the front image, but looks like that this will be the trick in this camera: a multi-aspect sensor. The opening in the mount is clearly square (hence the hypothesis of a rendering error). But there is a V MODE button on the side of the EVF, and it is not the button to switch EVF behaviour - as in the GH5, this button is assigned by default to a button on the back. V MODE looks like "vertical mode" - you could take a portrait oriented picture keeping the camera in the usual landscape position, with full resolution. But let's wait to see if they will not use the same LX100 "trick" to make the sensor "multi-aspect": cropping. Look like bigger than GH5, the idea of M4/3 format about reduced camera with great performance its finishing, that havent sense, I miss the GX7 size.